Dot bow ties come in a large variety; whether it’s polka dots, pin dots, spots or circles, there is something for everyone. Like stripes, dots have always been a casual staple that doesn’t age. 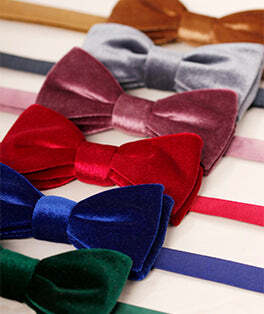 With their simplistic pattern and modest colour combinations, polka dot bow ties are a funky choice of bow.